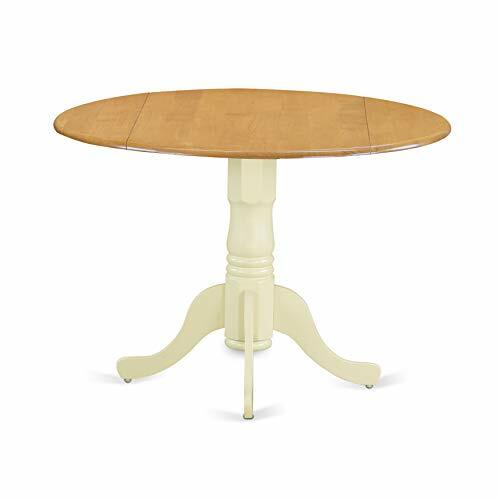 This East West Furniture Dublin Pedestal Round Dining Table with Drop Leaves is perfect for smaller sized kitchens and dining rooms. 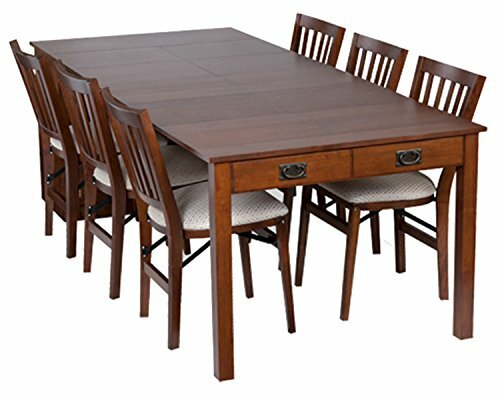 Crafted of solid wood, this dining table is offered in your choice of available finish option. An ornately crafted pedestal base offers support and stability, and it is equiped with two drop leaves to accommodate extra guests. Dimensions: 42 diam. x 29H in.. Solid Asian hardwood construction. Choose from available finish. Seats up to 4. Pedestal base for support. Traditional shape and structure. Assembly required. Dimensions: 42 diam. x 29H in. Like a flower sprouting beautiful style, the delicate stemmed look of the Modway Lippa Fiberglass Dining Table will keep your dining room abloom with sleek design. The durable fiberglass construction is scratch- and chip-resistant, ensuring years of durable beauty. The mid-century modern appeal is certain to be the centerpiece of your stylish dining room. Choose from available colors. Assembly required. Table Diameters: 36-in. 40-in. 48-in. About Modway Modway designs and manufactures modern classic furniture pieces for the contemporary home. The quality pieces are fresh and elegant with a distinctively updated appeal. Simple, clean lines and a vibrant selection of colors and finishes make these pieces perfect for the home or office. A wide selection of products include pieces for the living room, dining room, bar, office, and outdoors. High-quality and innovative designs make Modway the premier company for luxurious modern style. Fiberglass top and base. Choose from available colors. Scratch- and chip-resistant design. Assembly required. 29-in. height - choose from available diameters. This Round Pedestal Dining Table by Home Styles, is perfect for an apartment-sized dining space or for an expansive dining room in your home. The choice of two finishes in black or cottage oak, means you will be able to complement your existing decor, and the solid hardwood construction guarantees that your table will maintain its polished look for years to come. Easy to assemble. Table dimensions: 42 in. Diameter x 30H inches. 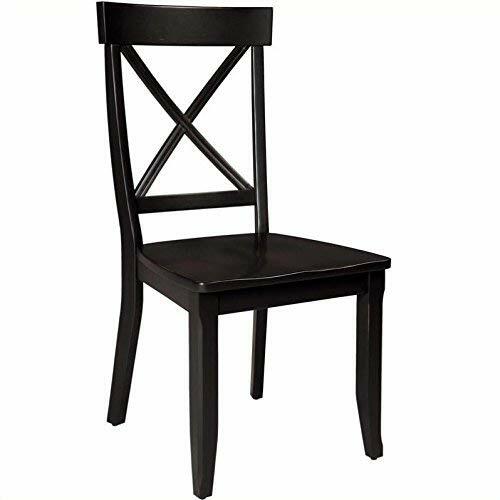 This purchase is for dining table only, see ''related items'' for matching chairs or the complete set. About Homestyles Homestyles is a manufacturer and distributor of RTA (ready to assemble) furniture perfectly suited to today's lifestyles. The great difference between Homestyles and many other RTA furniture manufacturers is that all Homestyles pieces are crafted of solid wood, an important quality. When shopping for convenient, durable items for the home, look to Homestyles. You'll appreciate the value. Features a solid hardwood construction. Choice of black or cottage oak finishes . Easy to assemble. Dimensions: 42 in. Diameter x 30H inches. This expanding table starts out as a console and with a few simple steps can be transformed into a game table, then with two additional leaves expanded to a dining table. Use the hidden fifth leg for extra support in the open dining position. 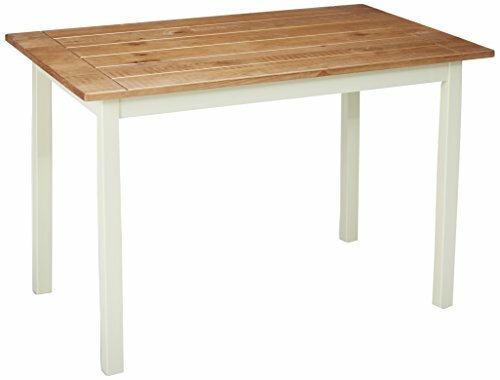 With painted legs and base and neutral wood tone surface the Zinus farmhouse dining table will add country style character to your kitchen. Easy to assemble in minutes with sturdy wood construction for durability and long lasting use. Worry-free 1-year warranty. The conduit design of this Gridiron series installment artfully blends stainless steel tubing with mahogany varnished poplar wood slats. Modernism used to be about extremes. Wild shapes and patterns that don&APOS;t dare resemble its predecessors. We&APOS;ve reached an age of maturity of sorts. We appreciate style, but all the more, we respect those designs that represent a blending of cultures. 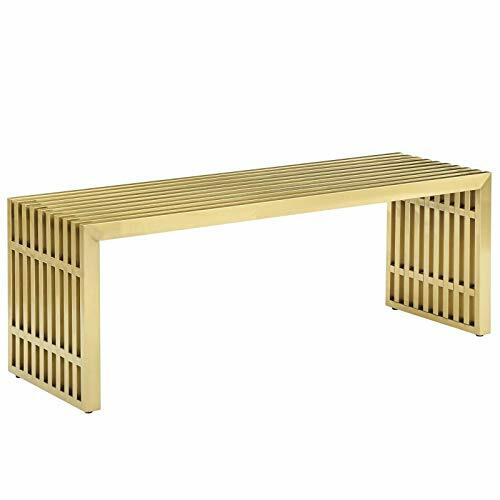 The Gridiron steel and wood panel bench is famous not for its radical shape, but for the strategic transcendence that it provides. Gridiron is perfect for reception rooms, living and lounge areas, and any other place in need of transformation. Enhance the look of your casual dining area with a stylish and function table for any room in your home, kitchen, sunroom or as an extra table. 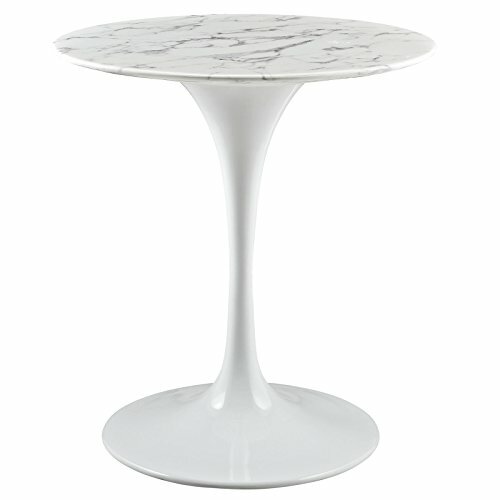 Each leg has detailing of groove to add a touch of style to a basic table. 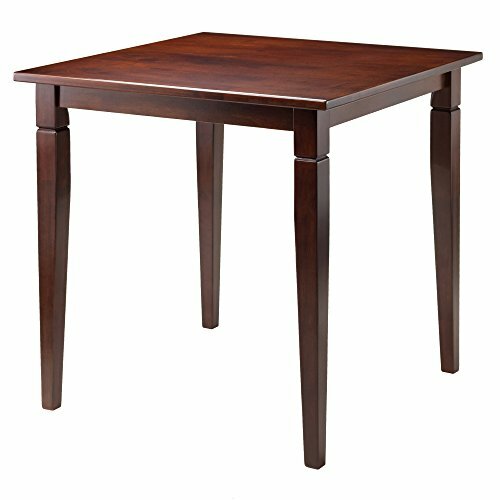 Table assembled size is 29.53"w X 29.53"d X 29.13"h. Made from solid wood in warm walnut finish. Simple assembly required.